Published: Apr 7, 2018 - Modified: Apr 17, 2019 - by Chef Rodney - Leave a Comment - This post contains Ads & Affiliate Links. 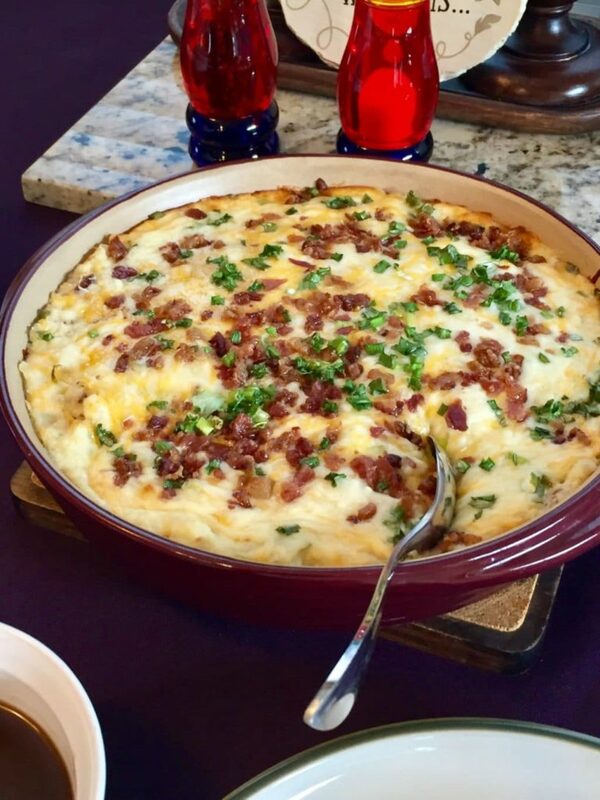 My mother-in-law made this twice baked potato casserole for Easter dinner this past year. I found myself eating more potatoes than the wonderful honey baked ham she made. If you’ve ever had a twice baked potato and loved it, you MUST give this recipe a try. Like most of the recipes on this food blog, this recipe is super easy to make. I pride myself in sharing recipes that everyone can make with easy to find ingredients.This is one of the few recipes that I can guarantee everyone will absolutely love. Bake potatoes in the oven or microwave until soft. When potatoes are done cut them in half and scoop potato out of the skin into a large mixing bowl. Add remaining ingredients and mix well. Pour potato mixture into a greased baking dish and top with the topping ingredients. Bake for 20 to 25 minutes or until the cheese on top is bubbly.